India's tour of England might be over but already the next major tournament is almost upon us. Even as the Asia Cup 2018 begins on Saturday (September 15), former Chief selector Sandeep Patil is not happy with Virat Kohli being rested for the Asia Cup. He wrote as much in his column. 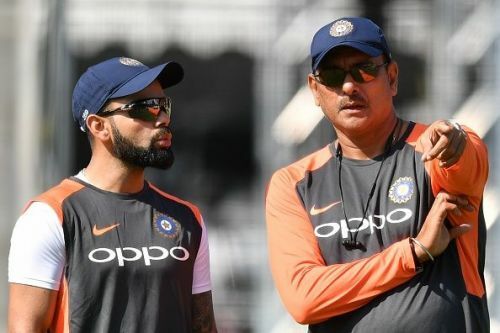 Not only the Indian captain but the coach made headlines as well by saying that India are keen on playing at least a couple of warm-up matches ahead of the Test series against Australia later this year. And a legendary West Indies pacer paid the Indian pace attack, the ultimate compliment. Although the Asia Cup was less than a week after the conclusion of a gruelling tour of England, BCCI certainly took everyone by surprise when they announced Virat Kohli will be rested for the tournament. That decision hasn't gone down too well with everyone and former Indian international and BCCI Chief Selector Sandeep Patil has questioned Kohli's decision to skip the tournament. In his column for The Quint, Sandeep Patil wondered whether the timing was right, especially when it came to resting India's premier and in-form batsman. "The decision to give rest to Virat Kohli has already been taken but the question is whether selectors could have delayed it by picking Virat for the Asia Cup and giving him rest instead during the home series against West Indies that will follow," he wrote. Before adding that he doesn't blame Kohli for the decision but wondered whether the timing could have been better. "I don’t blame Virat Kohli but my question again is that there are thirty plus players under contract for the BCCI and all of them play equal number of matches and share equal amount of workload, then why single out Virat Kohli? If you were to ask whether winning a series against West Indies or the Asia Cup title –which would bring more honor and joy to our players, BCCI and sports lovers, the answer is very simple – an Asia Cup victory. And that too when a team like Pakistan is involved." ICC World Cup 2019: Should Virat Kohli bat at No. 4 for India?